Did you ever get on to triberr? I accepted your request and it shows you are accepted. I'm following you now! Hope you can follow me too. Thanks for hosting such a fun hop! I am a new follower. I am looking forward to getting to know you and following your blog. I hope you have a wonderful weekend! A new follower, found you on the blog hop Design it Chic. 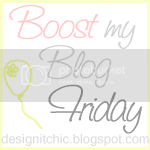 Following from oh so savvy mom's blog hop, feed me Friday. Thanks for hosting! Joined in! Thanks for hosting. I'm a new follower. Please stop by when you have a chance. Hi! Just stopping by. 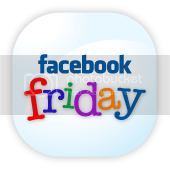 'Liking' you on facebook (under Hope Jackson) from the You Like Me Friday Blog Hop. The GFC for use on wordpress is down so you can't follow me right now (blog.writerslairbooks.com). So, I'm asking for a 'like' on my facebook page please: http://www.facebook.com/flightlessgoose . Thanks! I think I did this right! I just followed you all over duh place. Have a wonderful holiday weekend. I tried you GFC and it is not there. 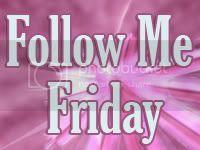 I a following you via the FNF blog hop. Please stop by my place and say hello. 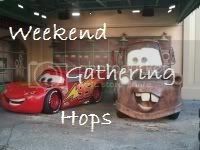 One new Stalker here, found you on the Weekend Gathering Hop. Have a fabulous Holiday weekend! 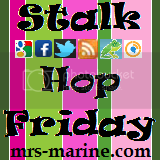 New public follower here from You Like Me Friendly Blog Hop. Nice blog, love the colors. I will have to check out your hop too : ) I would appreciate you following back http://talesfrommyjournal.blogspot.com I would also appreciate if you would like me in facebook http://www.facebook.com/DeniseMartin.LillaRose and in twitter @DeniseLillaRose. I always follow back. Just leave me a note so I know you stopped by. Hi-found your blog through the Alexa blog hop and am looking forward to reading more. I am a new follower via GFC. Hope you will check out my blog when you have a chance. Great blog! Sorry I missed the party! I'm your newest follower on GFC. hope you'd stop by my blog sometime too. Hi! Thank you so much for hosting. I am following you on Twitter, GFC and Networked!! Have a great weekend!